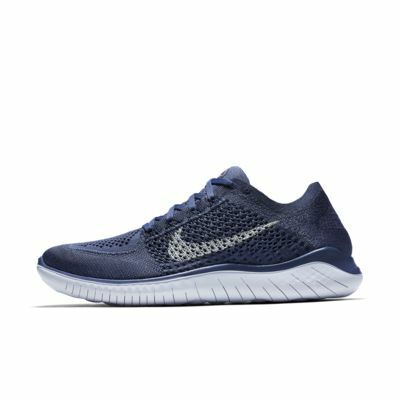 Made for short runs when you want a barefoot-like feel, the Nike Free RN Flyknit 2018 Men's Running Shoe is the lightest in the Free RN family. Its sock-like upper has more stretch yarns than previous versions, so it hugs your feet more than ever. The innovative sole has an updated construction, yet still expands and contracts with every movement. The packable design makes the shoe easy to stuff into your bag—so you can get in a few miles on the fly. Had been running with Different brands like Adidas, Hoka one one. but i always end up with bruised toes till i run in these. As i had broad feet, these fit well. The cushion is just perfect and i don't have anymore pain after run. i am running about 50 km per week and I'm enjoying it with the best shoes i ever have.